Would you like to take a look around one of our clients’ latest developments in London? 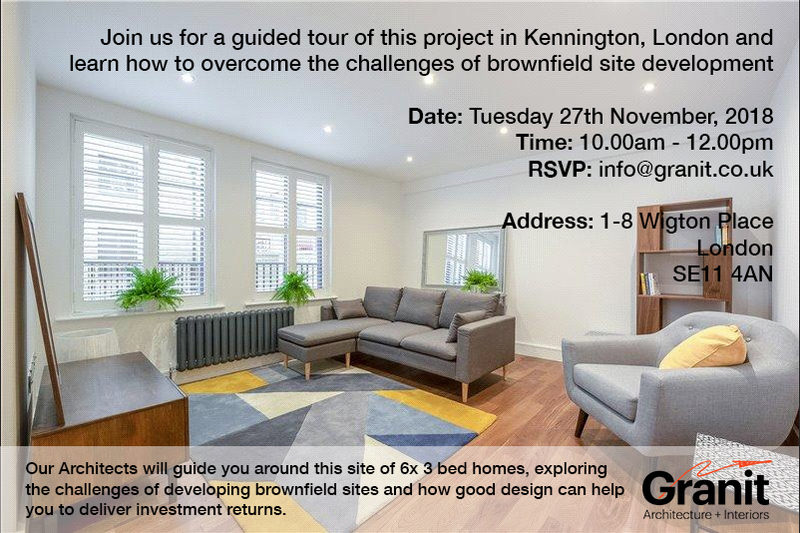 We’re holding an open day on Tuesday 27th November at a project in London SE11. The event is specifically for commercial property developers working in London. It is designed to help you understand some of the challenges of brownfield site development and, crucially, how to overcome them. We’re often asked by new clients if they can see some of our work. It’s a great way of getting to know our style, but also to explore how we managed the process of taking a project from an initial conversation to a completed project. For our commercial clients, it’s often difficult to get this understanding, particularly if you are on your first few projects. This site tour is designed to help you get under the skin of a project, to learn about some of the challenges and to take away some lessons you might use on your next project. Please send an email to us at info@granit.co.uk. We hope you can join us for what will be a very educational morning.